Several of the most respected voices in college football will rank the top teams in the Football Bowl Subdivision weekly during the 2017 season. IRVING, Texas (Aug. 15, 2017) – The Football Writers Association of America (FWAA) and the National Football Foundation (NFF) & College Hall of Fame announced today that they will partner for the fourth consecutive year to conduct The FWAA-NFF Super 16 Poll, the organizations’ weekly major-college football poll. The results will be released by 11:30 a.m. ET each Sunday of the 2017 regular season, and the plans include a preseason poll on Aug. 22. The first poll of the regular season will be released on Tuesday, Sept. 5, to account for the games that will be played on Labor Day. The final poll will be released Dec. 3, the day after the conference championship games. The voters in the poll consist of FWAA writers and College Football Hall of Famers. The poll aims to draw on the vast knowledge of the nation’s top journalists with extensive experience covering college football in combination with some of the greatest legends to have ever played or coached the game. The decision to conduct the poll was made by the boards of both organizations at the conclusion of the 2013 season and the end of the Bowl Championship Series, building on a relationship that stretches back to the 1940s when both groups were founded. The 2017 poll will tally the votes of 46 individuals (36 from the FWAA and 10 Hall of Famers) on a weekly basis, ranking the top 16 teams in the NCAA Division I Football Bowl Subdivision. Click here for an archive of previous year’s rankings. The names and affiliations of the 2017 voters are listed below, and their individual rankings will again be made public each week during the season. 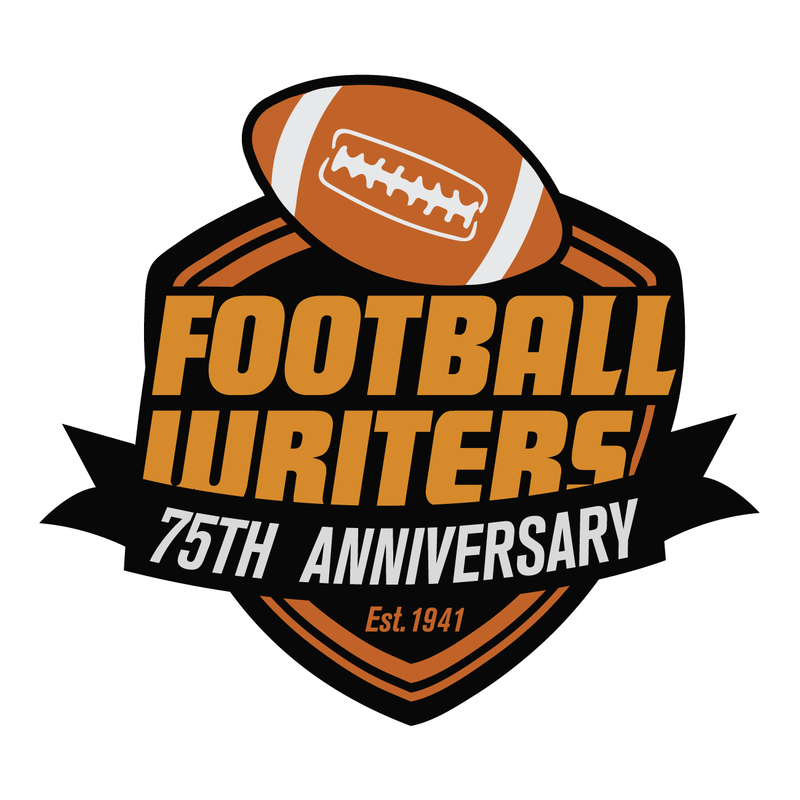 The FWAA voters, all current or past writers of national stature, are selected to ensure balanced-geographical representation. The NFF voters, comprised of Hall of Fame players and coaches, also add to the diversity of perspectives, coming from different conferences and regions of the country. The FWAA’s president in 2003, Wally Hall of the Arkansas Democrat-Gazette, recently gave his readers some reasons to pay attention to the relatively young Super 16 Poll, produced by the Football Writers Association of America and the National Football Foundation. CLICK HERE to read Wally’s column. Defending national champion Ohio State leads all teams by a large margin to claim the top spot in the Super 16 preseason poll released by the Football Writers Association of America and the National Football Foundation. The Buckeyes were the top selection on 38 of the 40 ballots cast by the voters. The Big 12 have two teams in the Top 16, with TCU and Baylor occupying the second and fourth spots in the poll, respectively. TCU received one first-place vote. Alabama, the team the Buckeyes defeated in one of the two 2014 College Football Playoff Semifinals, is third in the poll, sandwiched in between the two Big 12 schools. The Crimson Tide received the other first-place vote. Oregon, which lost to Ohio State in the national title game last season, is fifth in the initial poll. The SEC leads all leagues with five teams in the poll, followed by the Pac-12 with four. The ACC, Big 12 and Big Ten have two teams each. Independent Notre Dame has the other vote.